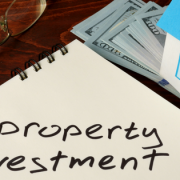 What should you know BEFORE you start investing in property? Firstly, she wishes she had access to the finance information now available! That’s the reason we love to share our finance tips and articles with you. Our aim is to help you navigate every financial stage of life with usable, educational information. Being financially savvy not only underpins our own future, it allows us to pass on important knowledge to our kids. (including family, friends, bank tellers, accountants and real estate agents). Many successful investors may never have taken that step if they had listened to the naysayers. If they don’t have more properties than you, then find someone who does. Find your team of experts, research and ask questions. If you are learning something new from them they could be the right person! We all know our first property is the hardest – you have to make sacrifices. Our client lived on bread and tinned soup, worked 3 jobs during university studies and worked weekends (while her friends were out spending THEIR cash). Time and property prices don’t wait for anyone. renting with friends) may allow you to get into the market earlier than saving for a deposit for your first home. The rental income and the tax man will help pay off your investment property mortgage. This path isn’t for everyone but if you’d like to explore your options we’re here to assist. Choosing the right location is crucial for future capital growth. If lenders’ mortgage insurance (LMI) will help you get into the market earlier with a smaller deposit it could be worth crunching the numbers. If property prices increase during the time you take to save the additional deposit the price increase will likely be far greater than the LMI you are asked to pay now. It’s worth a discussion with us. Landlord insurance covers crucial items for investment property owners that may not be covered by other types of home and contents policies, eg theft, malicious damage or vandalism by tenants or their guests or loss of rent due to tenant default. If you have a mortgage on the property your lender may require you to take out insurance before you take on tenants. Lastly, make sure you find a brilliant finance specialist – like us – who understands property structuring and finance. We work with you to understand your long term financial goals and the structure suitable for your individual circumstances. Please be aware however, this article is a personal opinion and NOT advice for you. Everyone’s situation is different. Please read our disclaimer below. It is always important to speak to us BEFORE ACTING on anything you read about financing an investment property. http://www.indigofinance.com.au/wp-content/uploads/2018/05/IF-31-05-18.png 315 560 IndigoFinance http://www.indigofinance.com.au/wp-content/uploads/2017/01/indigo-finance-logo.png IndigoFinance2018-05-30 21:04:072018-05-30 21:04:07What should you know BEFORE you start investing in property? Is upsizing on your wish list? With a generation of baby boomers entering retirement there is no end of information on downsizing a home. On the other hand, for a generation of homeowners with entirely different needs what do YOU need to know when it comes to upsizing your home? What are your future plans in terms of lifestyle, kids’ schooling, additional children, potential investment or financial return? When choosing the size, type and location of a property, asking yourself these questions will help you define the right property for both now and in the future. We can help you determine your current equity and potential borrowing capacity for your individual circumstances. If you haven’t had a property valuation for a while it’s possible that during that time, capital growth or renovations have resulted in equity you didn’t realise you had! Ask us for a property report for your area! If you require a valuation we can assist you with a referral to our property valuation specialist to determine what potential equity you may have. Maintenance costs – lawns, gardens, painting etc. Swimming pool? Make sure you add pool maintenance! Utilities – include transfer costs, plus heating and cooling a bigger space will probably mean larger ongoing utility bills. Property taxes – council rates will most likely increase. Don’t forget stamp duty either – this is often a significant cost in a property purchase. Land tax may also be applicable. Home insurance – home insurance premiums will increase exponentially with the value of your new property. Furnishings – with more rooms to fill you may need to factor in not only more furnishings, fixtures and appliances but home and contents insurance will also need to be reviewed. 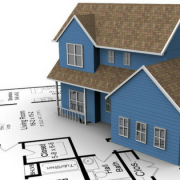 Renovations – are renovations part of the plan in order to ensure your new ‘dream home’ matches your dream? Research and consideration of all possible costs involved in upsizing your property will help you move forward with confidence. As your finance specialist it is our role to help you explore finance and structure options most suitable to your individual circumstances and your future financial goals. This can be both necessary and cathartic but remember you will also be filling a larger space. Assess items on usefulness – no point in tossing it only to have to buy a replacement! Start packing and storing now – not only will you declutter your home ready for market you’ll also be ahead of the game come moving time! Ideally, you will only want to spend as much as is necessary to ensure or improve the market appeal of your property. Seek guidance from our experts with knowledge of similar properties. If upsizing your property is on your wish list this year then call the office and we would be pleased to book you in for a chat! http://www.indigofinance.com.au/wp-content/uploads/2018/05/IF-14-05-18.png 315 560 IndigoFinance http://www.indigofinance.com.au/wp-content/uploads/2017/01/indigo-finance-logo.png IndigoFinance2018-05-16 21:31:032018-05-16 21:31:03Is upsizing on your wish list? Selling and buying…Do you need to Bridge the GAP? Many property owners sell their existing property to purchase a new property at some point in their lives. In a perfect world, the sale of one and purchase of the other will happen in a smooth, seamless sequence. In reality it doesn’t always happen like that! What are your options if you find the perfect property and your current property is still waiting for a buyer? Perhaps you believe you can’t buy without selling but you don’t want to miss out on your dream home? One option you may have heard about is bridging finance. Bridging finance can be used to ‘bridge the gap’ between the purchase of your new home and sale of your current home. The size of the bridging loan is calculated by adding the value of your new home loan onto your existing outstanding mortgage less the predicted sale price of your existing home. This is referred to as the ongoing balance. Bridging finance is typically an interest only loan with a limited loan term. You generally require a minimum of 50% equity in your current property to avoid a high interest rate. Careful analysis of possible price fluctuations, auction clearance rates, general market conditions and selling seasons is essential. As an interest only loan, interest is compounded monthly on the ongoing balance at the standard variable rate. The final interest bill will be added to the mortgage on your new home when you sell your existing home. A maximum loan term will apply. There are generally restrictions on this type of purchase, eg not suitable for construction loans, strata title or company purchases. When your existing home is sold the bridging loan is converted to a regular principal and interest home loan for your new home. You then commence making repayments into your new home loan. Costs and fees should be considered. Upfront costs of buying your new home, eg stamp duty, pest and building inspection and legal fees, can usually be added to the bridging loan. Traditionally, interest rates have been higher for bridging finance due to a greater element of risk. There are some lenders offering products at standard variable rates depending on your individual circumstances. One of the biggest risks with this loan type is overestimating the eventual sale price of your existing home. 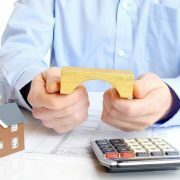 Should market conditions shift during the loan term and there is a shortfall when paying out the bridging loan it could cost you dearly. Allows you to buy a new property before your current property sells. Avoids rental costs between selling existing property and buying your new home. Usually only repayments on current mortgage balance are made during bridging period. You may require two property valuations resulting in two sets of valuation fees. If your existing home doesn’t sell within the loan term you will usually be charged a higher interest rate. The longer it takes to sell your existing home the higher the final interest bill. If your current lender does not offer a bridging loan they may impose early exit fees if you choose an alternate lender. Analysis of all fees and costs applicable will be part of our assessment of the most suitable loan product for your situation. Of course, it’s always worth investigating whether you are in a position to buy a new property AND keep your original property as an investment. If you HAVEN’T explored the current equity in your home for a while then make sure you call us BEFORE you make any future property buying decisions. We are always here to help you on the path to future wealth creation! Contact us to book in for a chat about your finance options. http://www.indigofinance.com.au/wp-content/uploads/2018/05/IF-07-05-18.jpg 500 750 IndigoFinance http://www.indigofinance.com.au/wp-content/uploads/2017/01/indigo-finance-logo.png IndigoFinance2018-05-07 20:17:592018-05-07 20:17:59Selling and buying...Do you need to Bridge the GAP?